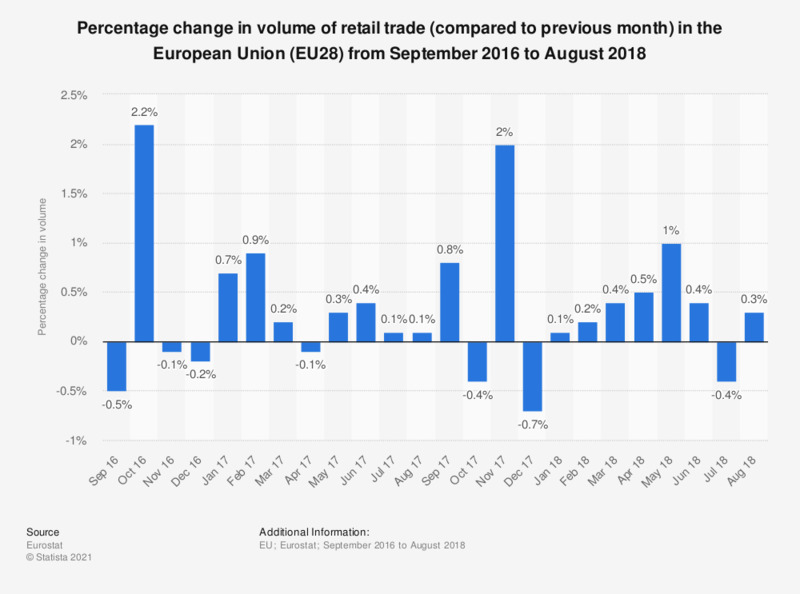 This statistic shows the percentage change in volume of retail trade (excluding motor vehicles and motorcycles) compared to the previous month in the European Union, from September 2016 to August 2018. Retail trade volumes increased in August 2018 by 0.3 percent compared to the previous month. Data refers to total EU (28 countries) retail trade, except of motor vehicles and motocycles.